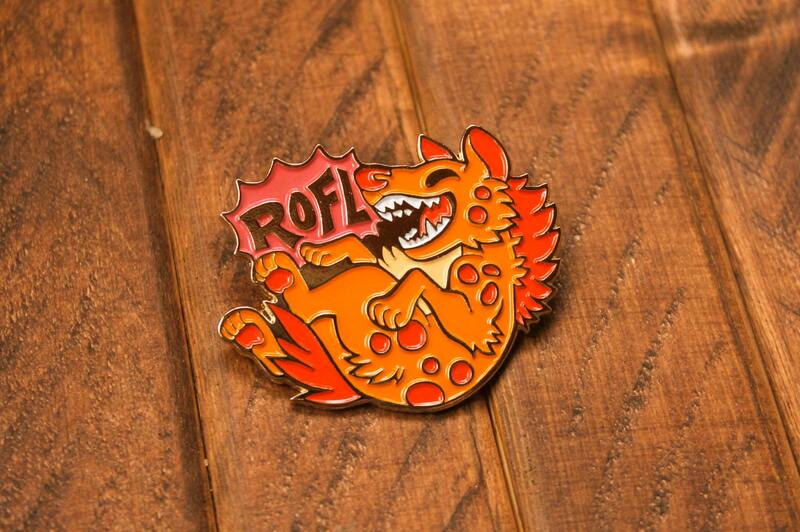 "ROFL" measures 1.5" and has two posts on the back for safe fastening. It's plated with gold. 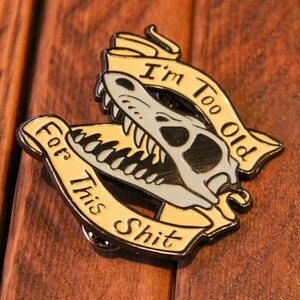 Colors are exactly as pictured, although I never actually realized it wasn't outlined in black until I got it, it's actually gold. Rather than that being a downside, it makes it more striking in my opinion. it feels very sturdy, has two pins on the back for holding it in place, and doesn't feel like it's going to get lost anytime soon. 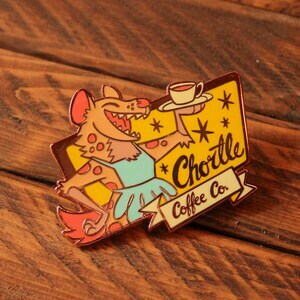 Lovely pin, shipping was quick too! Super adorable in person, did not have to wait long for shipping. Just what I was looking for, thank you!